Special moisturizer that quickly absorbs, hydrates and moisturizes the skin, and contains a blend of Aloe Vera extract. Leaves skin clean, refreshed and soft.extracts to hydrate and soothe skin while preventing a breakdown of the skin's protective barrier and restoring skin radiance. Series includes Aloe-V cleasing gel, hydrating toner, aqua gel, nutricare cream and hand & body lotion. 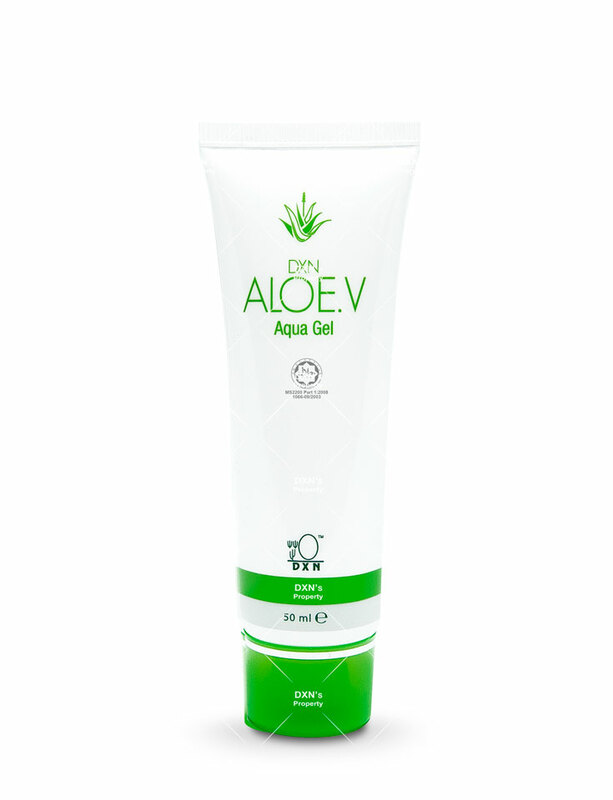 A soap free cleansing gel containing Aloe Vera extract. Gently cleanses and leaves skin fresh, supple and more radiant.extracts to hydrate and soothe skin while preventing a breakdown of the skin's protective barrier and restoring skin radiance. Series includes Aloe-V cleasing gel, hydrating toner, aqua gel, nutricare cream and hand & body lotion. Aqua, Glycerin, Cocamidopropyl Betaine, Sodium Cocyl Alaninate, Propylene Glycol, Acrylates/C10-30 Alkyl Acrylate Crosspolymer, Aminomethyl Propanol, Phenoxyethanol, Aloe barbadensis (Aloe Vera) Extract, Fragrance, Methylisothiazolinone. A scrub which provides gentle deep-pore cleansing to remove dull, lifeless surface cells and other impurities, leaving your skin looking smooth, clean and fresh. Formulated with Aloe Vera extract to lubricate and condition your skin during the cleansing process to protect it from the drying and damaging effects. extracts to hydrate and soothe skin while preventing a breakdown of the skin's protective barrier and restoring skin radiance. Series includes Aloe-V cleasing gel, hydrating toner, aqua gel, nutricare cream and hand & body lotion. Aqua, Cetearyl Isononanoate, Ceteareth-20, Cetearyl Alcohol, Glyceryl Stearate, Glycerin, Ceteareth -12, Cetyl Palmitate, Cyclomethicone, Sodium Polyacrylate, Olive Oil PEG -7 Esters, Aloe barbadensis Extract, Macadamia Integrifolia Seed Oil, Polyethylene, Phenoxyethanol, Hydrogenated Jojoba Wax, Xanthan Gum, Fragrance, Methylisothiazolinone. A non-greasy moisturizing lotion with Aloe Vera Extract. Relieves dryness and softens skin, providing a refreshing feeling. Nourishes and softens the skin to help maintain its natural moisture.extracts to hydrate and soothe skin while preventing a breakdown of the skin's protective barrier and restoring skin radiance. Series includes Aloe-V cleasing gel, hydrating toner, aqua gel, nutricare cream and hand & body lotion. A wash off mask that restores instant moisture to dry and weather-damaged skin, yet is suitable for gently soothing and calming all skin types. Extract of Aloe Vera and natural derivative of olive provides excellent moisturisation and soothing effects. Contains sodium hyaluronate, a moisture magnet that pulls moisture deep into the skin cells. Instantly leaving skin smooth and supple with a natural dewy glow.extracts to hydrate and soothe skin while preventing a breakdown of the skin's protective barrier and restoring skin radiance. Series includes Aloe-V cleasing gel, hydrating toner, aqua gel, nutricare cream and hand & body lotion. Aqua, 1,3 - Butylene Glycol, Methyl Gluceth-20, Sodium Hyaluronate, Dimethicone, PEG-7 Isostearate, Olive Oil PEG -7 Esters, Malachite Extract, Aloe barbadensis Extract, Acrylates/C10-30 Alkyl Acrylate Crosspolymer, Phenoxyethanol, Aminomethyl Propanol, Octoxynol - 12, Polysorbate 20, PEG-40 Hydrogenated Castor Oil, Xanthan Gum, Fragrance, Methylisothiazolinone. A refreshing hydrating formula that contains extracts of Aloe Vera, witch hazel, and amino acids. Double cleansing while tightening skin pores. A non-drying formula which refreshes and softens the skin, leaving the skin smooth and supple.extracts to hydrate and soothe skin while preventing a breakdown of the skin's protective barrier and restoring skin radiance. Series includes Aloe-V cleasing gel, hydrating toner, aqua gel, nutricare cream and hand & body lotion. Aqua, Methyl Gluceth-20, 1-3-Butylene Glycol, Aloe barbadensis (Aloe Vera) Extract, Hamamelis virginiana (Witch Hazel ) Extract, Sodium PCA, Betaine, Sorbitol, Alanine, Proline, Serine, Threonine, Arginine, Lysine, Glutamic Acid, Phenoxyethanol, Methylisothiazolinone. A rich night cream with a special blend of Aloe Vera and botanical extracts, which acts as a protective film to restore skin moisture loss while sleeping.extracts to hydrate and soothe skin while preventing a breakdown of the skin's protective barrier and restoring skin radiance. Series includes Aloe-V cleasing gel, hydrating toner, aqua gel, nutricare cream and hand & body lotion. Aqua, Cetearyl Olivate, Sorbitan Olivate, Aloe Barbadensis (Aloe Vera) Extract, 1,3 Butylene Glycol, Methyl Gluceth-20, Yeast Extract, Epilobium angustifolium (Canadian Willowherb) Extract, Olive Oil PEG -7 Esters, Aesculus hippocastanum bark (Horse Chestnut) Extract, Hypericum perforatum (St John's Worth) Extract, Commiphora myrrha (Myrrh) Extract, Cetyl Palmitate, Sorbitan Palmitate, Sorbitan Oilvate, Phenoxyethanol, Acrylates/C10-30 Alkyl Acrylate Crosspolymer, Aminomethyl Propanol, Fragrance, methylisothiazolinone. Each of Aloe-V Hydrating Mask, Aloe-V Facial Scrub,Aloe-V Nutricare Cream (Night Cream),Aloe-V Aqua Gel (Day Cream),Aloe-V Hydrating Toner, Aloe-V Hand & Body Lotion Aloe-V Cleansing Gel. A mild and soap-free cleansing cream that deeply removes impurities and dead cells, without drying your skin. Contains fruit extracts that leaves your skin feeling revitalized. Aqua, Glycerin, Sodium Cococyl Glycinate, Propylene Glycol, Cetyl/Stearyl Alcohol, Ganoderma lucidum Extract, Glycol Distearate, Olive Oil PEG - 7 Esters Tocopherol Acetate (Vitamin E ), Vaccinium myrtillus (Bilberry ) Extract, Saccharum officinarum (Sugar Cane) Extract, Acer saccharum (Sugar maple) Extract, Cutrus Aurantium dulcis (Orange) Fruit Extract, Cutrus medica limonum (Lemon) Extract, Sodium PCA, Betaine, Sorbitol, Alanine, Proline, Serine, Threonine, Arginine, Lysine, Glutamic Acid, Phenoxyethanol, Fragrance, Methylisothiazolinone. 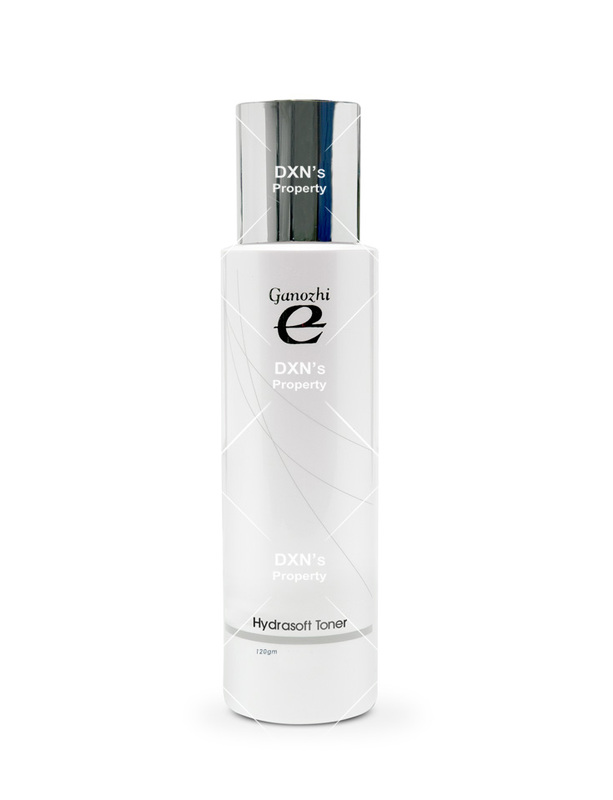 An aqua-milky texture toner that cleanses and minimizes pores, penetrates and tones your skin from the deepest levels. It contains fruit extracts such as bilberry, lemon, orange, sugar cane and sugar maple and also enriched with hydrating agents, leaving skin velvet-soft and feeling incredibly fresh. Aqua, Hamamelis virginiana (Witch Hazel ) Extract, Vaccinium myrtillus (Bilberry) Extract, Saccaharum officinarum (Sugar Cane) Extract, Acer saccharum ( Sugar maple ) Extract, Cutrus Aurantium dulcis (Orange) Fruit Extract, Cutrus medica limonum (Lemon) Extract, Ganoderma lucidum Extrac 1,3-Butylene Glycol, Cetearyl Isononanoate, Ceteareth-20, Cetearyl Alcohol, Glyceryl Stearate, Glycerin Ceteareth -12, Cetyl Palmitate, Sodium PCA, Betaine, Sorbitol, Alanine, Proline, Serine, Threonine, Arginine, Lysine, Glutamic Acid, Tocopherol Acetate (Vitamin E ) Phenoxyethanol, PEG-40 Hydrogenated Castor Oil (and) Polysorbate 20 (and) Octoxynol-11, Xanthan Gum, Fragrance, Methylisothiazolinone. A rich and creamy moisturizer to intensely nourish when the skin naturally renews itself at night. The skin will feel softer and smoother the following morning. Added botanical extracts such as Canadian Willowherb, Commiphora myrrha, Fagus sylvatica, Ganoderma lucidum, Horsetail, Sunflower Seed, Yeast and Wheat Germ help to improve firmness whilst strengthening the skin's structure. Aqua, 1,3- Butylene Glycol, Fagus sylvatica Extract, Yast Extract, C12-15 Alkyl Benzoate, Cetyl Alcohol, Glyceryl Stearate, PEG -75 Stearate, Ceteth-20, Steareth-20, Ethoxydiglycol, Sodium PCA, Betaine, Sorbitol, Alanine, Proline, Serine, threonine, Arginine, Lysine, Glutamic acid, Cyclomethicone, Butyrospermum parkii (shea) butter, Ganoderma lucidum, Epilobium angustifolium (Canadian Willowherb) Extract, Tocopherol Acetate (vitamin E ) , Helianthus annuus Seed Oil (and) Triticum vulgare Germ Extract (and) Helianthus annuus Seed Extract (and ) Equisetum arvense Extract (and) Commiphora myrrha Extract, Phenoxyethanol, Acrylates/C10-30 Alkyl Acrylate Crosspolymer, Aminomethyl Propanol, Fragrance, Dipotassium Glycyrrhizate, Mythylisothiazolinone.